It was several years ago that we were introduced to Ray & Linda. 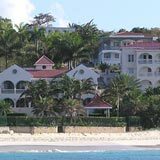 Originally from New Jersey, they were long-time visitors to Anguilla with dreams of building their Caribbean dream home, their home away from home. Mike Vallinis, the same diligent and detail-oriented man who built our home, was just the one for the job. Sunset Beach House had us from hello. The landscaping is immaculate, accented with colorful flowers, Anguillian boulders, all with the sea and Ray & Linda's contemporary home in the background. Their villa manager, Lisa Webster, was our host that day. 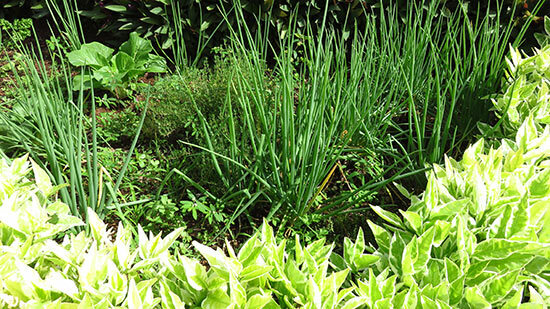 Before entering she pointed out an extra-special part of the garden, "Scallions, lettuce," they are growing it all, she glowed. We entered through two large glass doors. Lofty and open, we felt right at home. 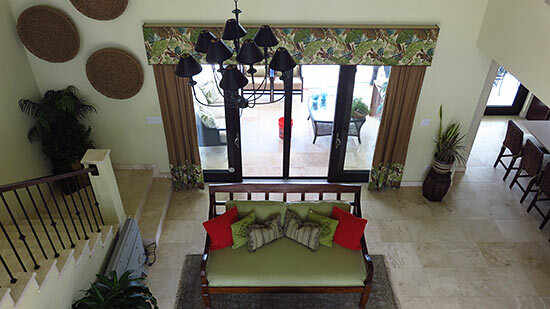 The villa opens into a large, atrium-style living room with sliding glass doors to the outdoor deck. 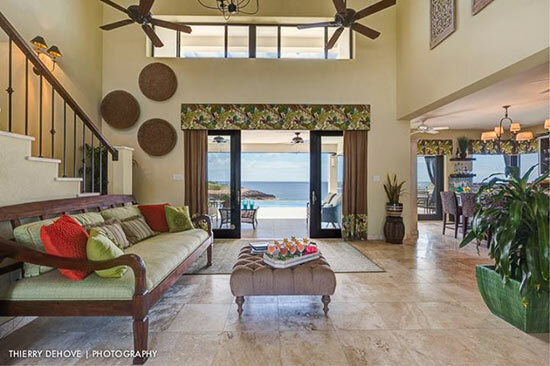 The living room itself features a flat screen TV, plush couches, air conditioning, an abundance of natural light, and, of course, those ocean views. Lisa ushered us into the kitchen, excited to show us the modern appliances. 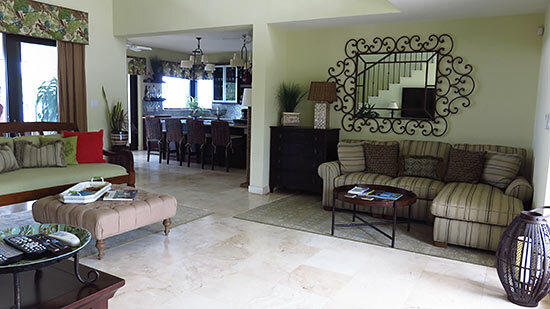 If you like to cook and entertain, you will love Sunset Beach House. A big and beautiful fridge, a stainless steel stove and oven, even a pasta maker and espresso/cappuccino maker! Ray & Linda's kitchen has it all. And, the details have been thought through so well. 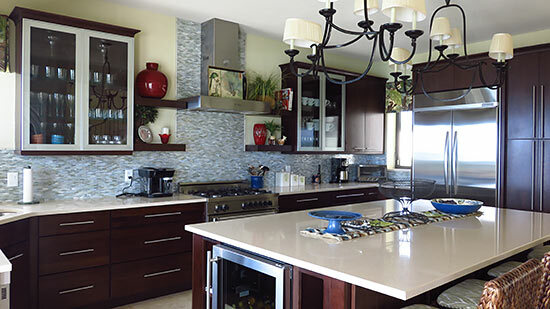 A large counter doubles as bar-style dining, making good use of space and making cooking and eating a simultaneous activity. It reminded me of nights spent in our kitchen with my Mom and sister cooking, sampling, eating and cooking again all while chatting over a glass of wine. The decor is contemporary with warm accents, such as wooden antique cupboards. This one in the kitchen is my favorite. 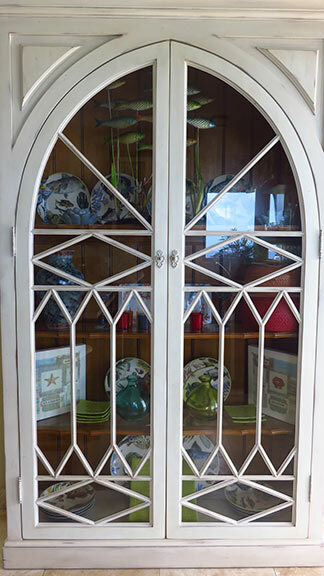 Behind the white-washed wooden doors are a variety of charming touches inspired by life under the sea. The kitchen also opens onto the main outdoor dining area. A large, round outdoor dining table is set just beyond the threshold of the kitchen door. This makes indoor/outdoor cooking and dining seamless and smooth! There is a large gas grill outside, too. It also faces the sea. The focus on dining and cooking while enjoying the deep blue sea around you is a tremendous focus! Just in back of the kitchen is the laundry room with brand new washer and dryer. Lisa pointed out a little reminder of "home," "Jersey Shore 1685 Miles" that way! I must note, Lisa Webster, Ray & Linda's villa manager is exceptional. She takes care of your every need in such an effortless, no-stress manner. Warm and friendly, she makes you feel right at ease, inspiring a sense of relaxation. 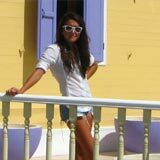 Always professional, she never falters or fails to get things done and in a timely manner. If you're with Lisa, everything is under control. The kitchen and laundry room make up the northern half of Sunset Beach House's first floor. The master bedroom is located on the southern side. In a word, the master bedroom is spacious. 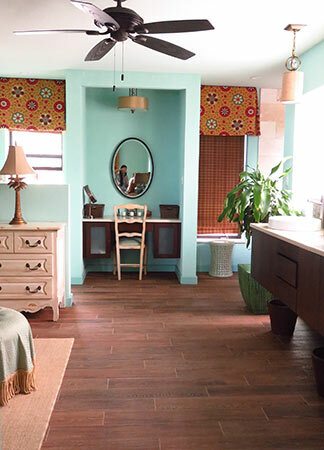 A large bedroom meets an even larger bathroom and dressing area. 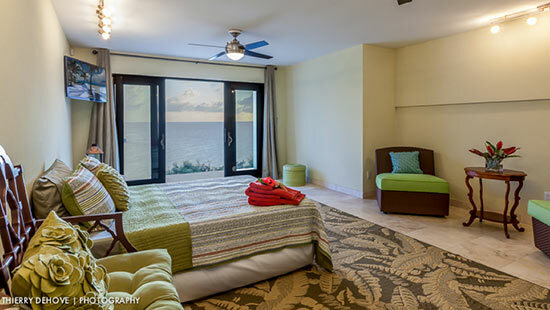 The bedroom itself features a plasma screen TV and views out to the pool area and the ocean. 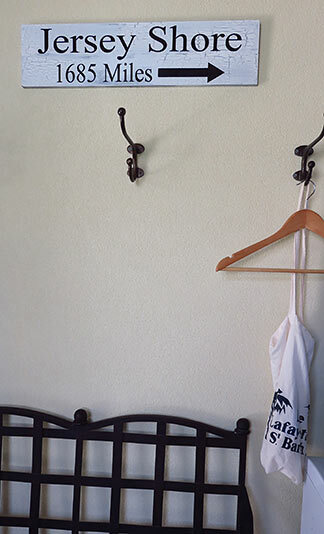 Adjacent to the bedroom is the large dressing area and closet. Open-concept, I fell in love with this room. 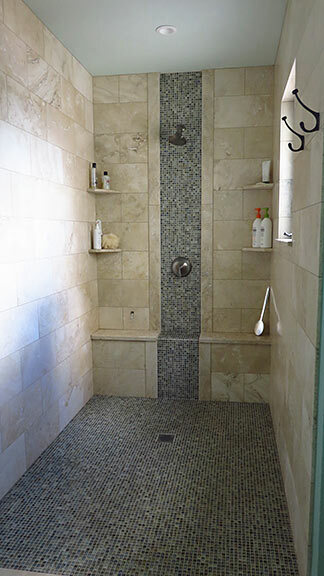 ... the huge walk-in shower encased in rich, Anguillian stone. Through the master bedroom's sliding door, onto the deck and down the steps, we were on to see the villa's first floor suite. 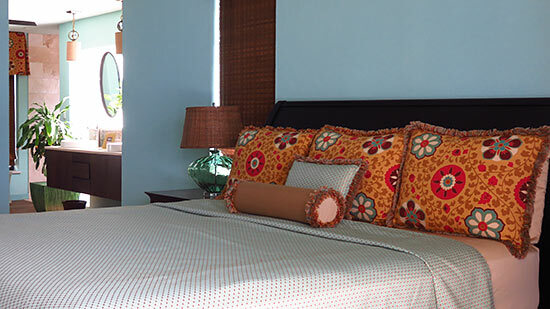 Set closer to the water's edge, and located on Sunset Beach House's lower level, this room offers total privacy. It is complete with air conditioning, television and two twin beds (which can also be pushed together into a king), a bathroom and a private deck. A perfect spot if you are traveling with older children. 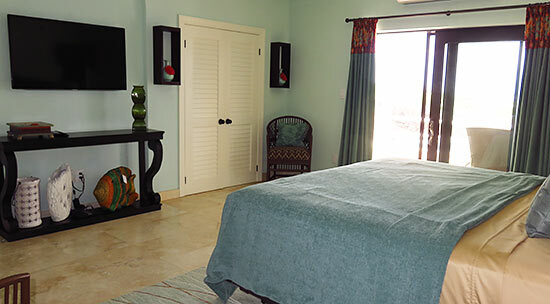 The villa's two remaining bedrooms are located on the second floor. Back inside, through the lofty living room, we went! A hallway that overlooks the living space separates the two bedrooms on the second floor. 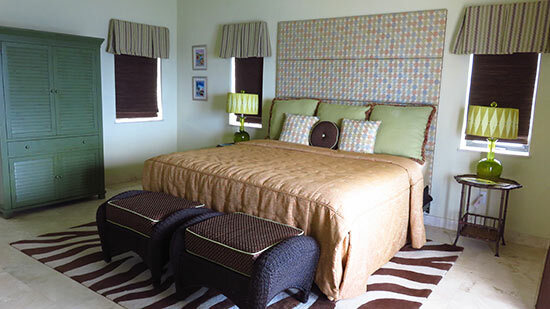 Privacy is truly at a premium at Sunset Beach House, with all of the bedrooms well separated from each other. 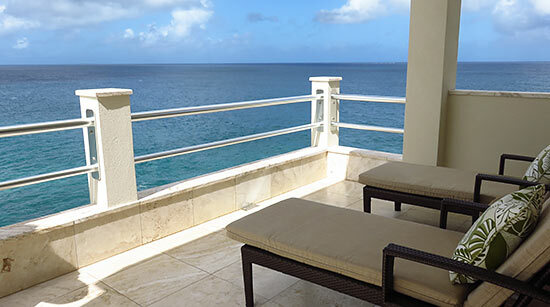 Each room is comfortable and fresh, complete with plasma screen TVs and sliding glass doors that face that shining sea. 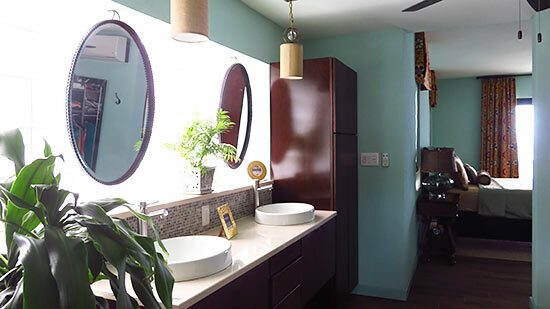 Each suite also has its own bathroom, complete with walk-in shower. In fact, you can even walk to the beach from Sunset Beach House down a manicured path! Intimate and rarely visited, Blackgarden Bay is a gem of a beach. It faces due north and rarely sees visitors due to its hard-to-find nature. Only home owners in the area generally frequent this off-the-beaten path beach. The second floor features three different seatings areas, each well separated from each other. The northern corner (see photo below) is a top spot for daydreaming. Those vistas and the horizon in the distance inspire dreams of setting sail! The pool called us back downstairs to take in their main outdoor living area. Upon setting foot on the deck, I changed my mind about that northern corner upstairs. At the pool's edge, watching the waves break on the reef... this would be my spot! Another clever touch is the built-in seating in the corner of their pool, which doubles as a jacuzzi. The whole pool is even heated. A huge plus for those "chilly" winter evenings (77°F can feel cold when you have been living in the Caribbean for nearly a decade ;-)). ... outdoor living space complete with comfortable couches and an outdoor TV! 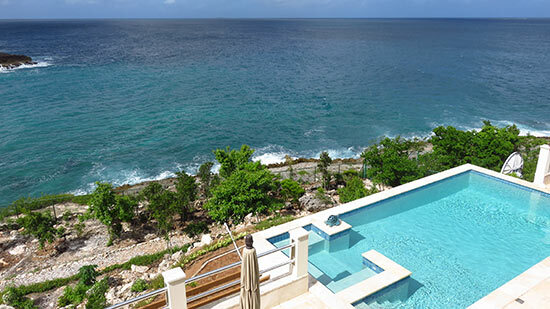 This is how to enjoy Caribbean surroundings to their fullest. 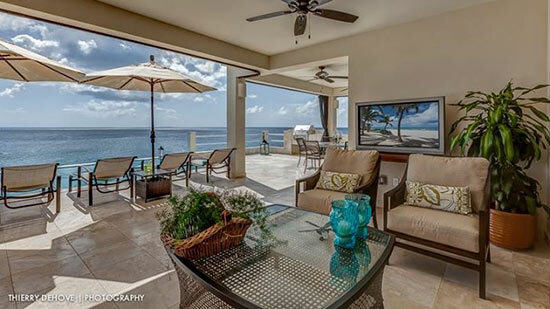 Built for luxurious comfort and basking in the natural beauty of its surroundings, Ray & Linda, together with Mike, have truly crafted a dream home away from home. 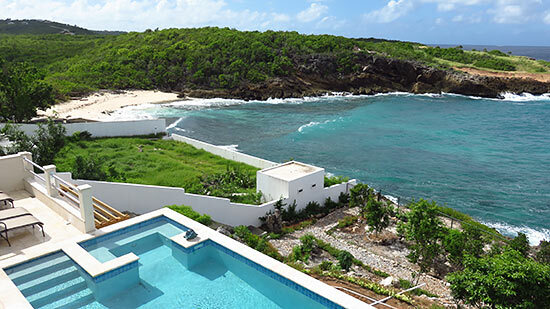 Rates begin at $700/night in the low-season and go up to $3200/night in the high season.